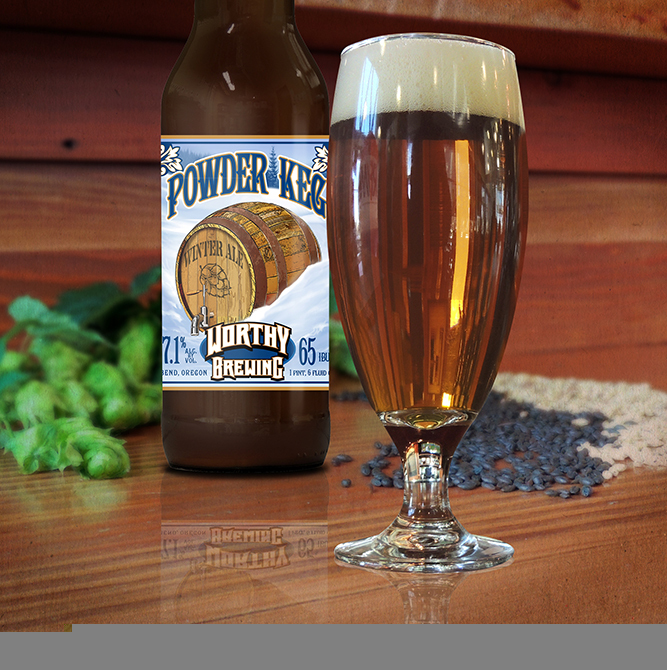 Bend, Oregon – As cold weather approaches, Worthy Brewing Company is releasing their Winter seasonal, Powder Keg Winter Ale. This red-hued festive IPA is loaded with hop flavor and aroma from a double dry hopping with a Centennial/Chinook and Cascade/Columbus combo. Pine and citrus hop characters are balanced by a generous dose of crystal malts. This “winter warmer” will be an aggressive, yet balanced favorite for the colder months. Powder Keg Winter Ale comes in at 7.1% ABV with 65 IBUs. The October to January release of 22-ounce bottles and kegs will be distributed by Columbia Distribution in Oregon and Washington, Hodgen Distributing in Eastern Oregon, and by Hayden Beverage in Idaho.